IN A CIVIL lawsuit in 2017 an employee of Huawei, a Chinese telecoms giant, was found to have swiped one of the arms of Tappy, a phone-testing robot owned by T-Mobile, an American wireless carrier, and with it the smart proprietary technology in its fingertip. A jury in Seattle ordered Huawei to pay compensation of $4.8m to T-Mobile. The court found, however, “neither damage, unjust enrichment nor wilful and malicious conduct by Huawei”. This week the Chinese company reminded the world of that verdict in its public response to a sweeping set of fresh allegations against it by America’s Department of Justice. The charges include bank fraud, obstruction of justice—and technology theft, as Tappy becomes the subject of a new criminal case. Huawei was also accused of defrauding four big banks (one of which is known to be HSBC) into clearing transactions that violated international sanctions on Iran. This was why Canadian police arrested Meng Wanzhou, the company’s chief financial officer, on December 1st, on behalf of the American authorities. On January 28th they made a formal request for her extradition. Canada now has 30 days to respond. 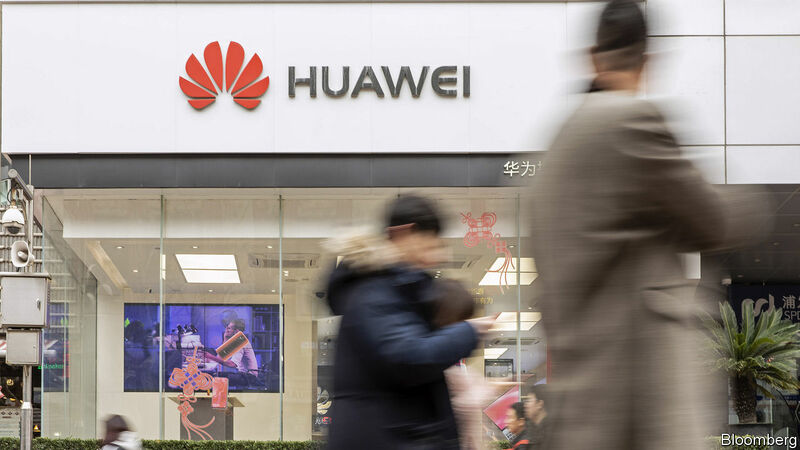 Huawei said that it had not committed “any of the asserted violations” and repeated that it was “not aware of any wrongdoing by Ms Meng”. Among the charges unsealed thus far, Tappy is the only direct evidence of intellectual-property theft. And none suggests that America has any concrete evidence to confirm its gravest suspicions: that Chinese spooks use Huawei gear to listen in, or that it has ties to the People’s Liberation Army (for which its founder and chief executive, Ren Zhengfei, once worked as an engineer), as has long been rumoured. That events over a decade old—including the questioning of Mr Ren by FBI agents in 2007, in which he is alleged to have misled investigators by saying that Huawei did not conduct activity that violated American export laws—are only now being used to bring charges has also raised some eyebrows. In a statement on Monday the FBI made the leap from trade-secret theft to telecom-infrastructure threat, stating that “the prosperity that drives [America’s] economic security is inherently linked to our national security”. China’s foreign ministry railed against America’s “strong political motives and manipulations”. The indictments are explosive. The Chinese giant is alleged to have awarded bonuses to staff based on the value of the information they managed to filch from competitors, as revealed in internal emails written in 2013 and obtained by the FBI. Separately, speculation swirled that prosecutors might have secretly indicted Mr Ren as well; America’s acting attorney-general, Matthew Whitaker, said that Huawei’s criminal activity went “all the way to the top of the company”, though without giving further details. Some defendants’ names have been blacked out from one of the indictments. And if America is able to prove a simple case of trade-secret theft and bank fraud, Huawei will have plenty to fret about. A bipartisan bill introduced in Congress a few weeks ago would, if passed, systematically ban the sale of American technology to any Chinese company found to have violated export-control laws or sanctions. When ZTE, a Chinese peer, was hit with such a ban last April, only a surprise reprieve from President Donald Trump three months later saved it from collapse. In October Fujian Jinhua, a state-owned chipmaker, was hit with a swingeing export ban for posing a “significant risk” to American national security; it is expected to suspend all operations within weeks. The threat of a similar ban is Huawei’s greatest fear. “Any relief for the Chinese national champion will likely come at a steep price,” writes Dan Wang of Gavekal Dragonomics, a research firm. Huawei could perhaps dodge such a ban by paying a fat fine and allowing Americans to monitor it from the inside (a demand to which ZTE yielded last year). The big American suppliers that sell so much of their gear to Huawei, including Qualcomm, Intel and Seagate, would also rather see it more leniently treated. But for now, at least, America seems determined to press on, not settle.